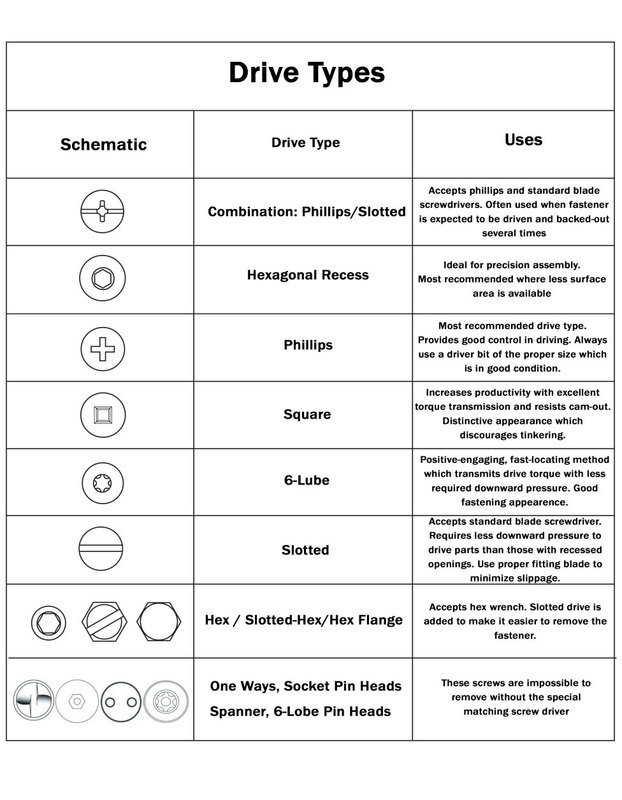 ZāGO manufactures many types of fasteners including screws, bolts, rivets and socket caps with many varieties of heads and drives. In addition, ZāGO is capable of manufacturing both right-handed screws (a screws tightened by being turned clockwise) and left-handed screws (screws tightened by being turned counter-clockwise). Philips, Slotted, Combination Phillips/Slotted, Allen (a.k.a. socket), Hexagonal Recess, Square, 6 Lobe, Hex/Slotted Hex/Hex Flange, One Ways, and Socket Pin Heads Spanner. Choosing the correct drive recess for an application can mean the difference between optimum productivity and down time. Often these decisions are only addressed when problems occur in the production line. ZāGO offers the above information to assist in the proper selection of driving recess for your seal screw application. For a difficult assembly application, we also offer assistance from our engineering department to help in resolving existing problems or to improve your product drive system. 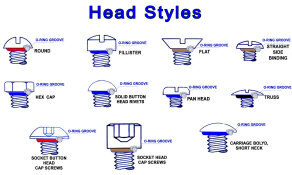 After you have chosen the correct recess system, you will next have to select the appropriate head style. 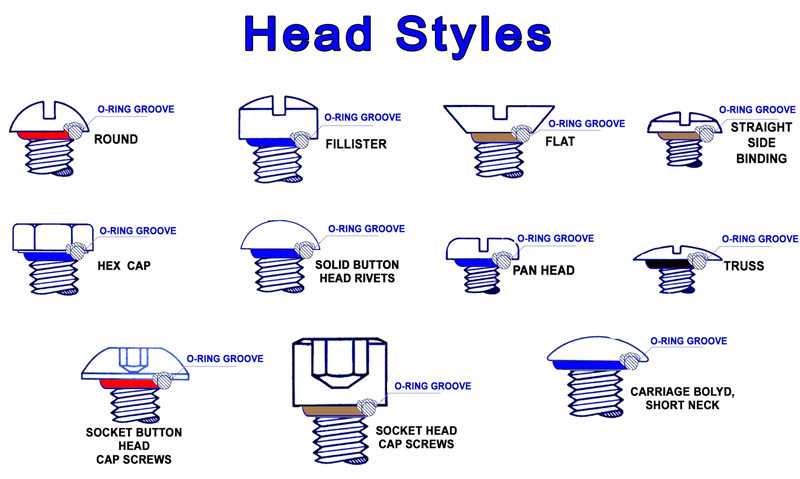 ZāGO can supply all types of head styles including pan heads, flat heads, button heads, round heads, truss heads, oval or raised heads, bugle head, cheese head, fillister head, socket head and mirror head screws. ZāGO offers you the choice of military standard screws or other head style designs. Make sure to take into account all design factors, such as torque transfer stress in the fastener recess and the open diameter to be sealed. In addition, you may want to consider the availability and cost due to the fact that there are standard head styles for certain drive systems and that some head styles do not accept all recess systems. ZāGO’s fasteners are available in a number of different materials. The most common material requested by ZāGO’s customers is stainless steel. Where great resistance to weather or corrosion is required, stainless steel, titanium, brass or bronze may be used, or a coating such as brass, zinc or black oxide applied. Click here for criteria for proper material selection and click here for detailed information on material components. ZāGO can supply its customers with all standard threading including Class 2A and will work with its customers to meet their specific threading needs. Non-standard lengths of threads and special threads such as left hand, metric and double lead threads are no problem for ZāGO to manufacture.